03 August 2017 09:00 a.m. – 04 August 2017 06:00 p.m.
Not only the reception of the figure of Abraham in Judaism, Christianity and Judaism is contested, all the more the literary foundations in the Hebrew Bible. 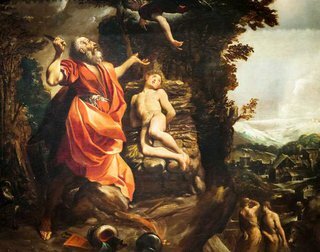 The source-critical model is no longer valuable, but the challenge of explaining and dating the priestly and non-priestly parts of the Abraham cycle and its reworking diachronically remains crucial for the understanding of the figure of Abraham and for Genesis as text. The workshop brings together a group of textual specialists to continue a discussion on the literary growth of the Abraham cycle (Gen 12-25) against background of recent Pentateuchal theory. The workshop is a follow up on the growth of the Issac-tradition which was discussed in workshops before. Papers and discussions will be in German language.